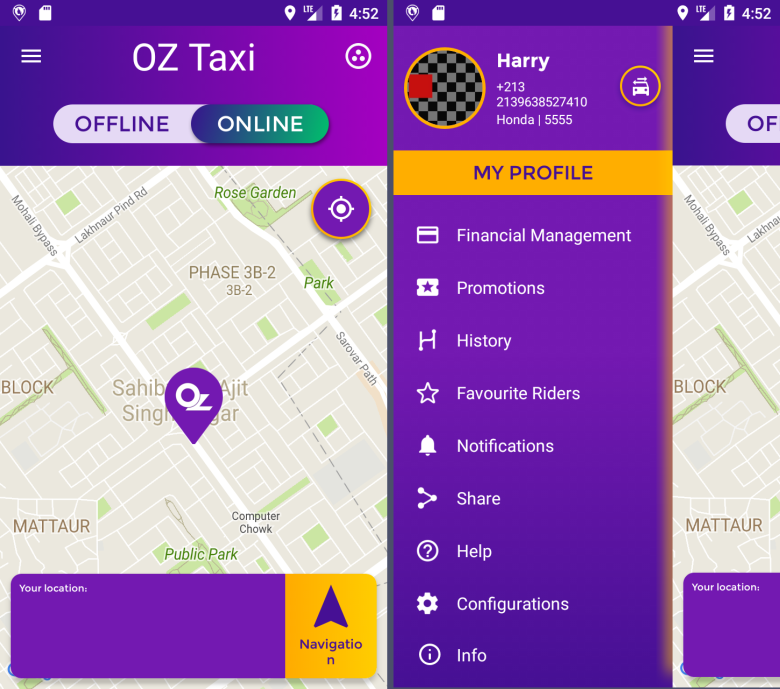 OZ Taxi is one of the best taxi booking app with countless drivers helping people to move around the city and enables drivers to make money at their own convenience. This application helps our drivers to manage their business efficiently and earn more. In this app the drivers work whenever they want and earn money on their terms. Drivers will also get an easy access to our 24*7 support team to manage the business with ease. * Payment via credit card, prepaid credits, card machine in the vehicle etc.